Finances 101 is made possible by a grant from the Ohio Credit Union Foundation. Welcome to our Finances 101 Online game! 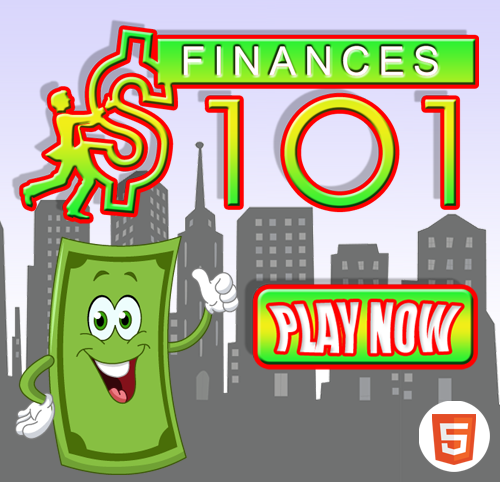 Finances 101 – The Game has been specifically developed to take advantage of the latest HTML5 web technologies and is best experienced using the Google Chrome web browser. To download Google Chrome, click here. If you prefer to use another web browser, we recommend playing the game with a browser that provides the next best support for HTML5 web technologies. How well does your browser support HTML5? Take this test to find out! Please have your IT department make port 3000 available to the finances101thegame.org domain to allow proper game login functionality. If your organization’s security settings are blocking port 3000, it may prevent you from setting up logins and passwords. The purpose of the logins/passwords is to allow a user to save and resume a game when unable to complete it prior to having to exit the site. Finances 101 The Game Online!